Would you want to tangle with this tough fighter? 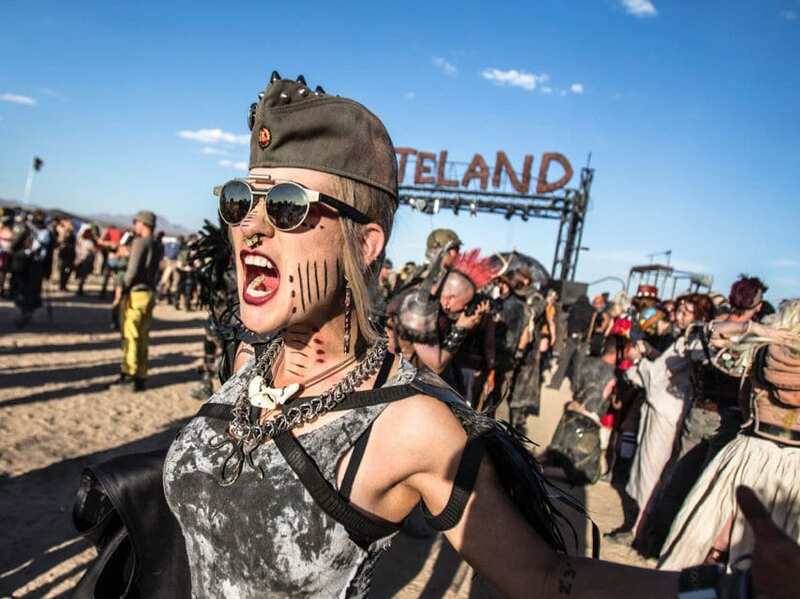 This young woman proves that not everything at Wasteland Weekend has to be disturbing by definition, and that ferocity is an attitude, spikes or no spikes. We’re not sure whether the markings she has daubed on her face and neck look more like a vampire bit her or some kind of tribal tattoos. It would certainly seem like opening your mouth in a snarl tends to be a pretty commonly accepted facial expression in this wild world. This woman’s look is part of the bizarre beauty that spaces like Wasteland Weekend allow for. Mixing steampunk, goth, military, and more to create a look that suits her best, she’s finally free.